Call or email Fina Bella Draperies today or set up an appointment online! (408) 379-1662 | fina@finabelladraperies.com | Reserve Fina. Fina Bella Draperies understands that your home is a sanctuary for comfort, entertaining, and elegance. No detail is too small, from the patterns embedded into the fabrics to the matching buttons and lamp to complete the look and feel the customer desires. Fina firmly believes that every time you walk in your home and look at her custom drapery artistry, it will continually take your breath away. 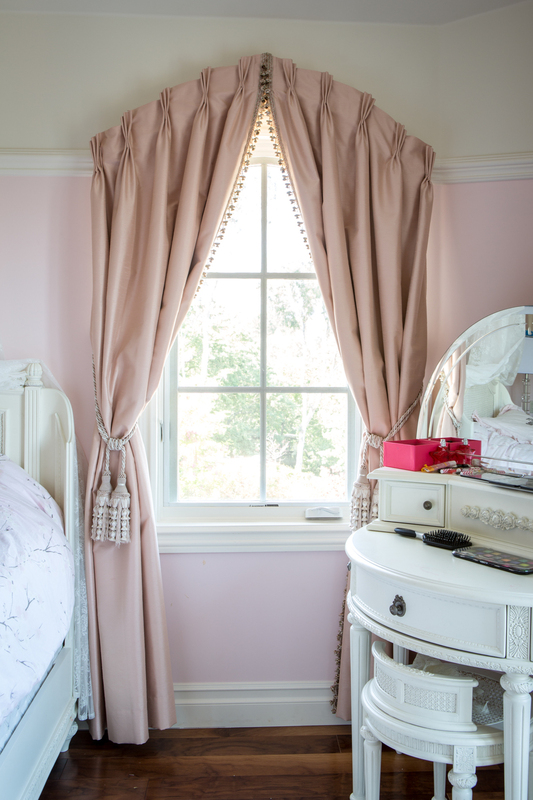 Whether you're designing a room for your newborn child or a grand living room, Fina Bella Draperies takes care of everything from bedding to draperies. Fina Bella Draperies is a premier drapery studio for customers with exquisite taste, who are looking for the artistic touch, luxurious home furnishings, and stunning interior design. No detail is too small -- from ceiling to floor. Your home is a big investment and a place that you will spend many hours with your family and friends. Fina Bella Draperies believes that great design should be accessible and affordable. Whether you are remodeling or upgrading your present home or have recently purchased a new home, give it that warm feeling with a decorators touch. Nothing enhances your home more than beautiful draperies, window treatments and reupholstered furniture. We can design all types of pleated draperies and valances; draperies, valances, roman shades, custom bedding, custom bedspreads, custom designed pillows and reupholstery are our specialty. We also offer woven wood shades with top/down and bottom up features, shutters, and wood blinds. We can bring a variety of fabric selections to your home in all price ranges. We carry any type of valance, cornice, swags, box-pleat with any and all fabrics. Our decorator comes your house, discusses interior design choices with you, and gives you multiple recommendations. With our interior design skills we can design and manufacture custom duvet covers and bedspreads to match any decor. We can reupholster or slipcover your furniture to compliment your home. We can help you select the right design with the best fabrics for your home. 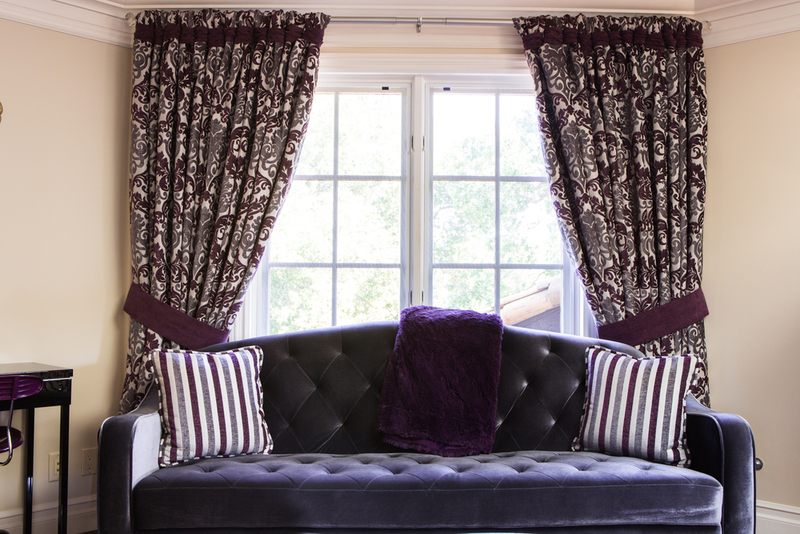 Our window treatment designs can be very simple to extremely elaborate. We are different from other custom drapery shops in the Bay area. We do it all - from the first visit to your home to discuss your decorating project to delivering and mounting of the new window treatments. We have our own workroom. Most of our competition hires people to create their draperies, top treatments, valances, curtains, etc. to be created. Our decorator sees your decorating project through from start to finish. We can create your specialized window treatment, slip cover, bedspread or reupholstery project right from our own workroom. 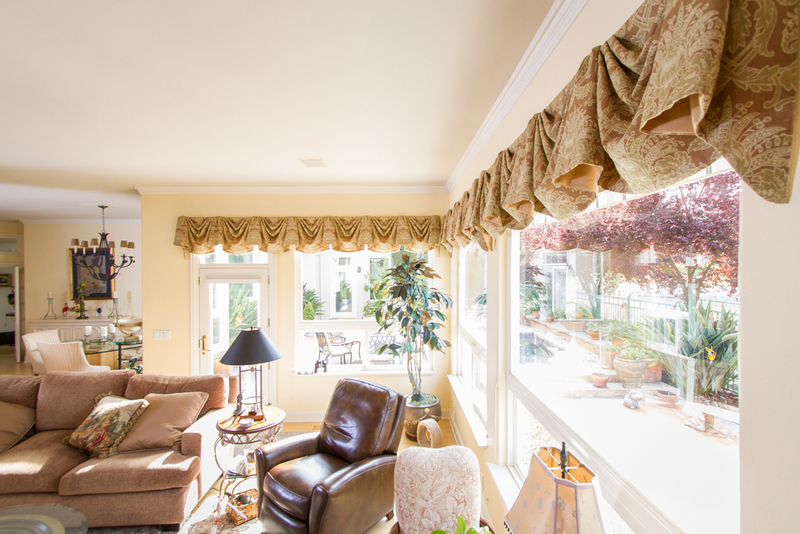 Fina Sanfilippo has been designing window treatments for over 30 years. Over Fina's 30 year career, she has worked for numerous drapery and upholstery manufacturers, and also fabricated specialized designs for them. Through her own business, Fina Bella Draperies, she's become an outlet for clients of sophisticated taste and style levels with each completed job having a sense of eloquence, since her business was established in 1991. 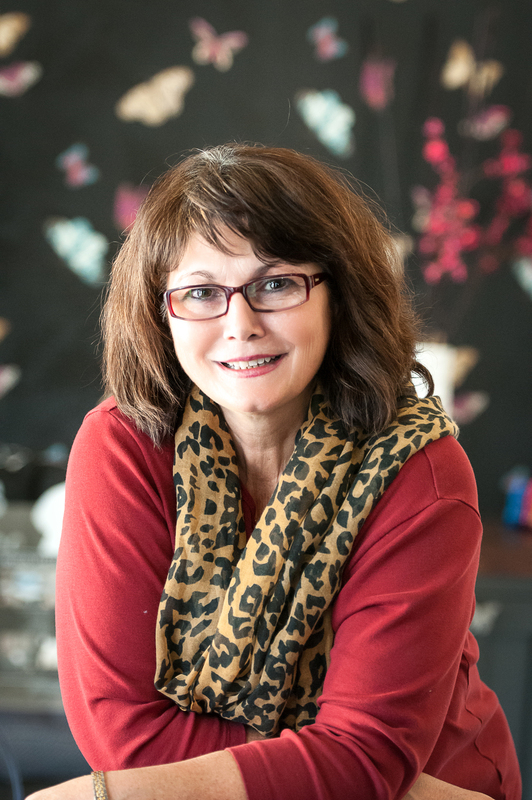 Fina Bella Draperies specializes in custom window coverings and home furnishings with 30 years of experience in homes all over the United States. Fina Bella Draperies can fabricate color coordinated unique valances, drapery panels, custom bedding, quilted bedspreads, specialty headboards, euro pillows, pillow shams, bolsters, duvet covers, bed skirts and accessories, and window bench seat cushions for indoor and outdoor use. We offer reupholstering of chairs and sofas, that are designed to match your style and design aesthetics. We also specialize in Hunter Douglas products, shutters, solar screen shades, Roman shades, woven grass shades, and any other hard or soft treatment that the customer may desire. The signature of Fina Bella Draperies can be found in her use of high quality fabrics, patterns, sewing, and custom specialty decorative traversing rods of the iron and wood variety. Works in conjunction with designers, contractors, and the general public.